We have created with our own personal touch and love a small family facility, with modern, romantic, and clean rooms. Our unit is situated in Gournes Pediados just 15 kilometers East of Heraklion, on the road to Agios Nikolaos, only 15 minutes away from the Heraklion Airport. An ideal choice as it is only 200 meters away from a remote, beautiful beach. Every room is unique with its own balcony and view to the sea or to the picturesque village hills. We provide a wide variety of organized facilities and services to ensure a comfortable and enjoyable stay. Quiet, clean, bright and spacious rooms, located only 200 meters away from a remote, beautiful beach. 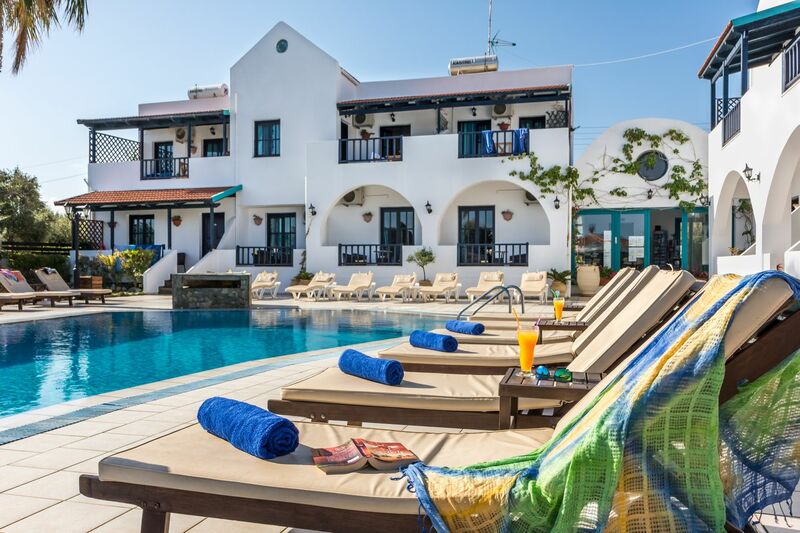 Villa Chantaloukas located only 15km from Heraklion Airport, perfect choice for traveling or visiting Crete. 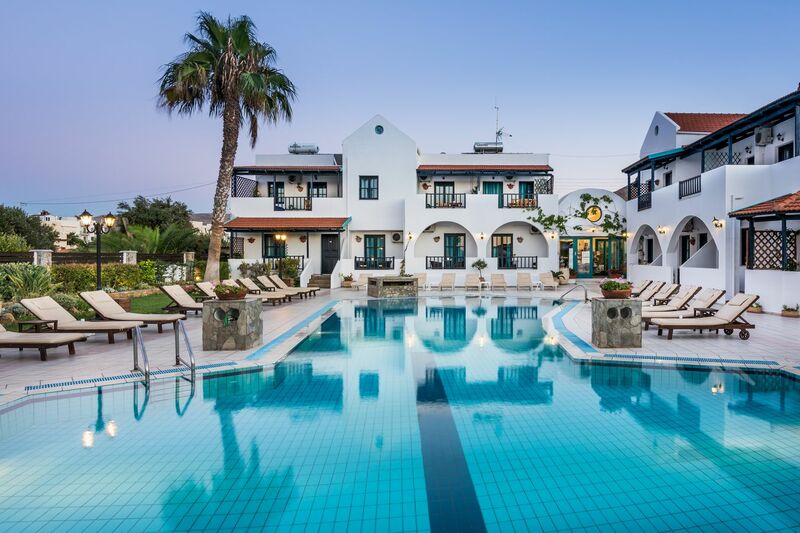 Villa Chantaloukas comprised of 13 studios and apartments. Every room is unique with its own balcony and view to the sea or to the picturesque village hills. All rooms are fully equipped with a telephone, tv, safe, fridge, air – condition, kitchenette and private bathroom. Our outdoor surroundings have been well designed with a variety of plants and flowers surrounding the exterior pool and grounds. 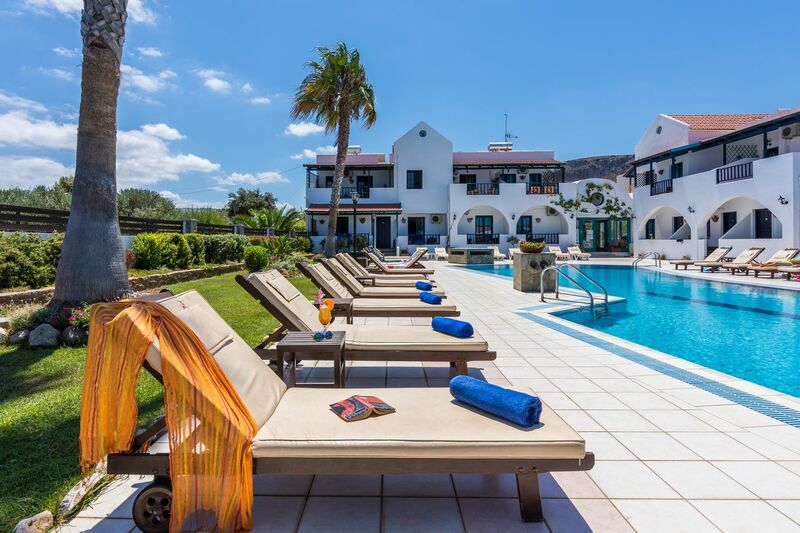 Villa Chantaloukas offers a spacious outdoor pool. Sun loungers and umbrellas available free of charge. Relax and a swim in our fresh water pool. Take a sunset cocktail or pick at something before lunch. Whether you plan to relax in the pool our Pool Bar promises to keep you refreshed during the day with a wide variety of frosty beverages or cocktails mixed, in a relaxed until late afternoon. For breakfast, lunch or dinner, the warm environment of the restaurant creates a tranquil atmosphere. The owners, Manolis and Chandal, is really friendly and obviously gives great care and attention to the local, delicious food he serves. 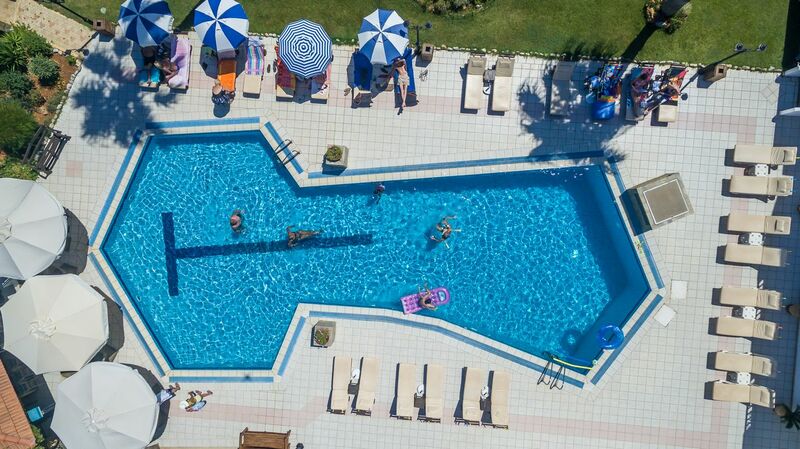 Playground is located few meters from the Pool Bar and Restaurant. This is a safe kids play area for all to enjoy and have fun. Free private parking for all of our guests. Self-catering Studios with free Wi-Fi, Sea view or Pool view. Self-catering apartments with free Wifi, Sea view or Pool view.